Hello Everyone, Marisa here! 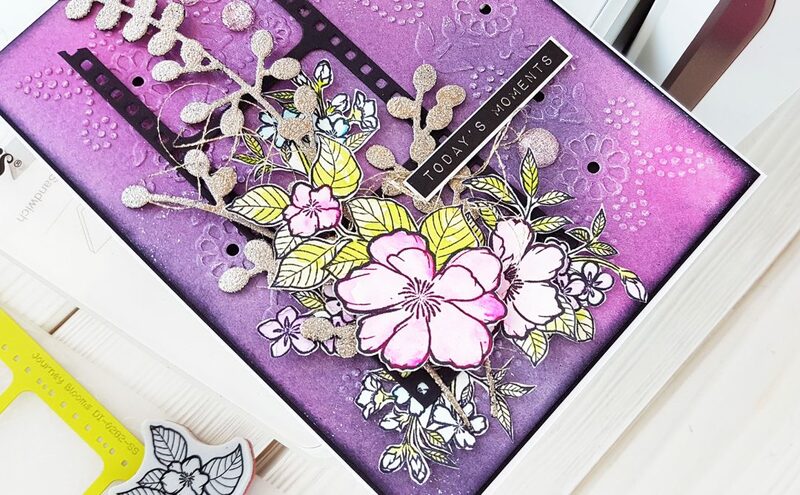 Today, I would like to show you how to make this card using Spellbinders Flower Tile Die from my Celebrate the Day Collection. I also used Spellbinders Windows of Memories die set to make the flowers. This card is very simple to make, the die cuts all the pieces for you! 1. 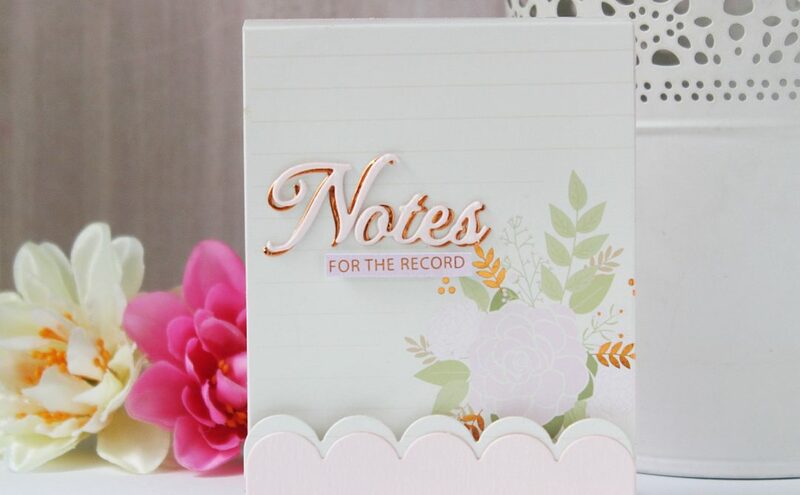 Create a 6½ x 6½” card base from beige cardstock. Cover card front with designer cardstock. 2. Die-cut four flower tiles with Flower Tile Etched Die from double sided designer cardstock. Use four different coordinating colors. 3. Adhere four flower tiles to a 6 x 6” piece of designer cardstock. 4. 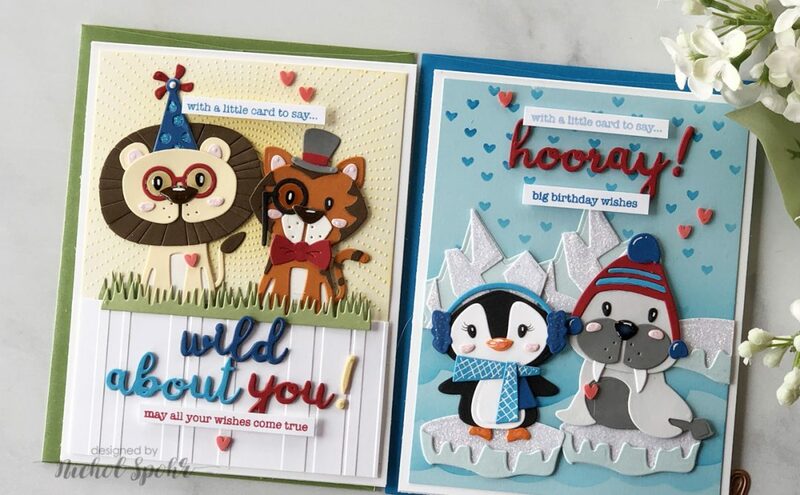 Glue squares to tiles, interchanging colors and using both sides of the designer cardstock. Mat panel with beige cardstock and then adhere to card front with foam squares. 5. Die-cut multiple flowers and leaves with Windows of Memories flower dies from Floral Oriental Cardstock. 6. Color flowers with Archival Magenta Hue ink and leaves with Fern Green ink using Tool ‘N One™ with Foam Applicator – Circle For Tool ‘N One™. 7. Spray flowers and leaves with water to dampen the paper. Shape flowers with Groove Golf Tool Set and then heat dry. 8. Embellish flowers with Sparkling Dust using Multi Medium Matte glue. Glue flower stamens to center of flowers with hot glue gun. 9. Glue bow, flowers and leaves to card with hot glue gun.